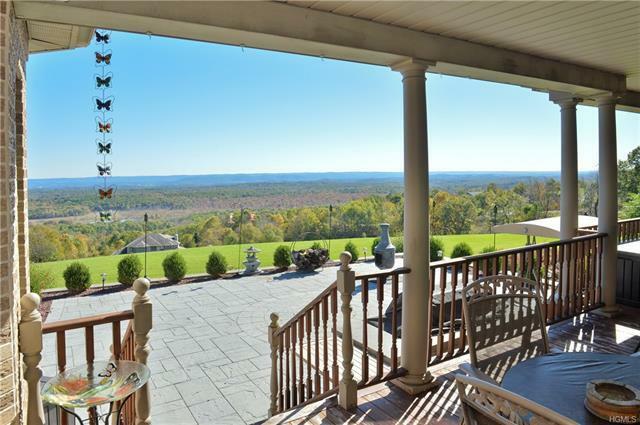 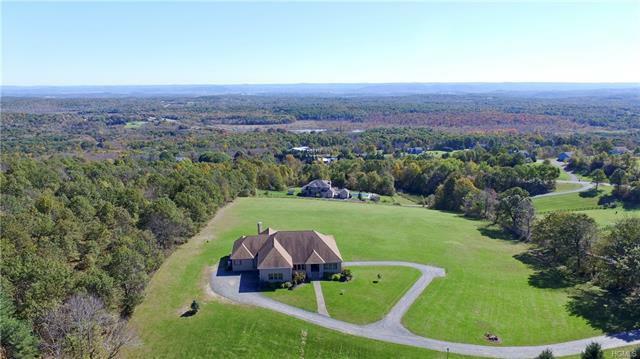 Magnificent 3 state panoramic views from this custom built contemporary brick ranch home located at the top of the Shawangunk Ridge in Greenville, NY. 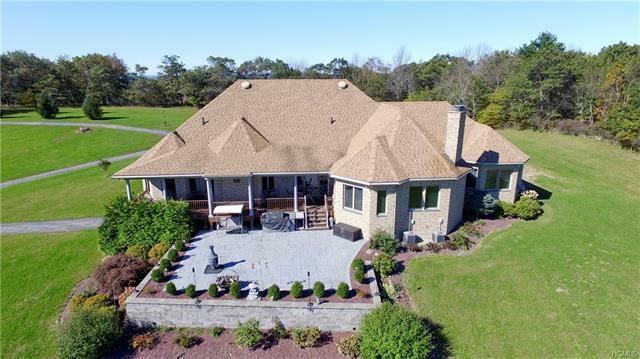 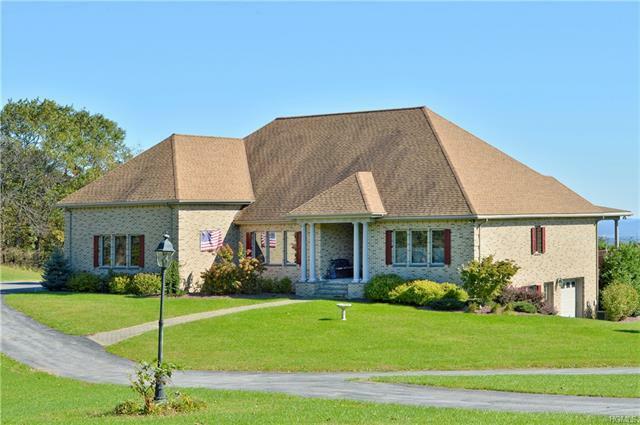 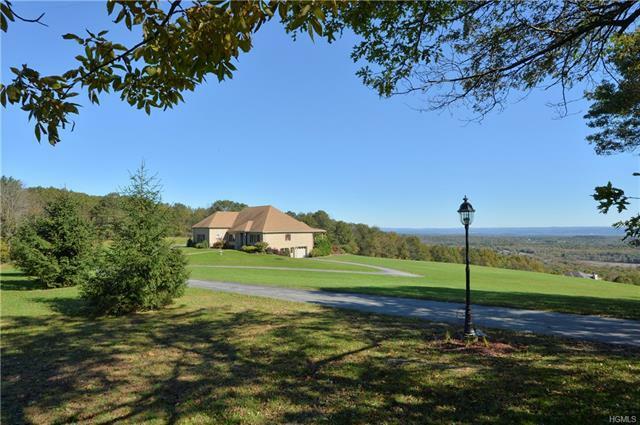 The house sits majestically on 5.2 private acres, at the end of the cul-de-sac and features a split floor plan with master bedroom, bath and walk-in closet on one end of the house and a guest wing with 2 bedrooms, full bath and sitting area at the other end. The kitchen is open to the family room and features custom cherry cabinets with granite countertops, high end appliances, large island with prep sink and seating for 3, plus an additional eat-in breakfast area with gorgeous view to the backyard. 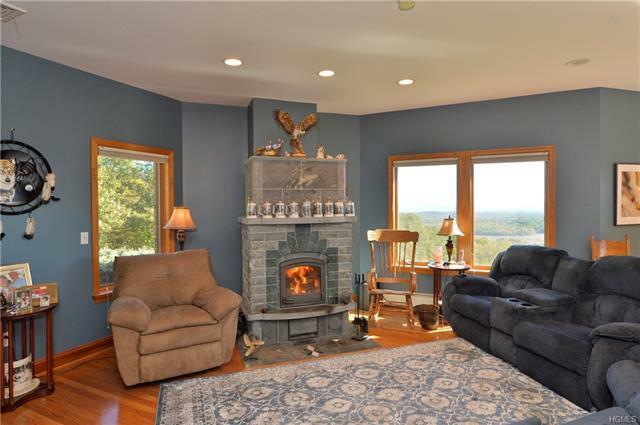 In the family room, warmth and ambiance is provided by the custom installed radiant heat Tulikivi woodstove with original Finnish soapstone. 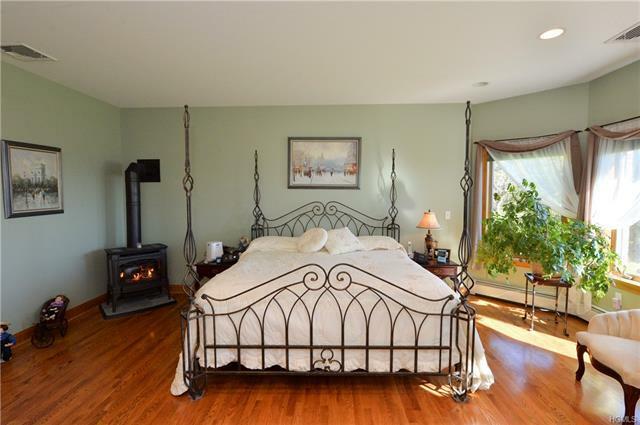 Each room is beautifully proportioned with 9&apos; ceilings, custom detailed baseboard moldings and large Andersen casement windows to take in the views. 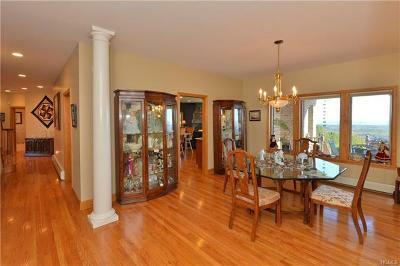 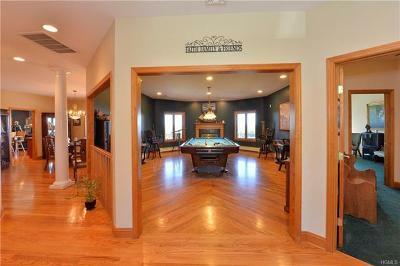 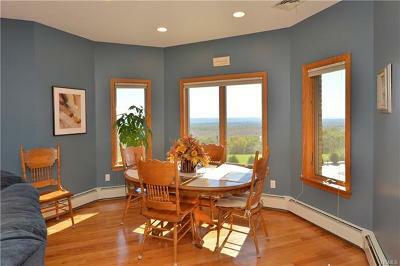 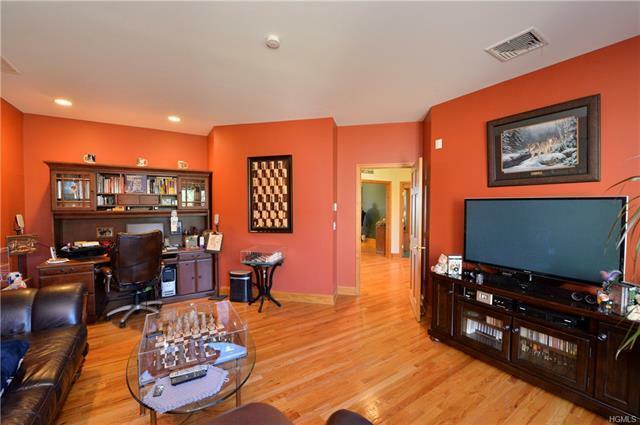 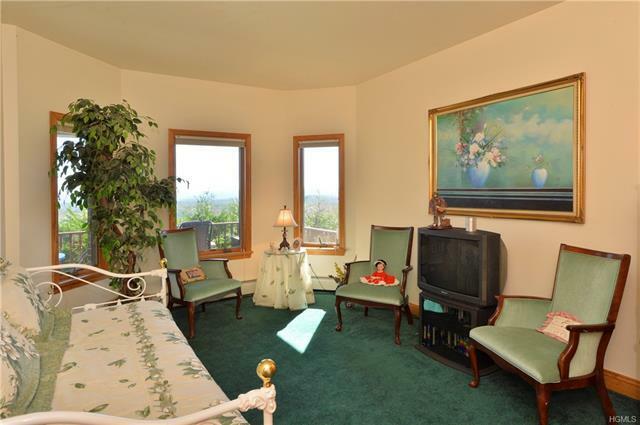 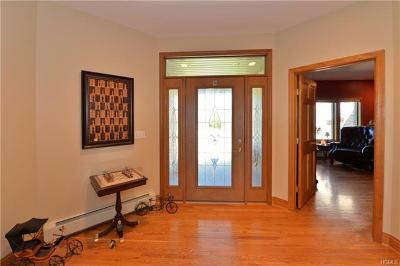 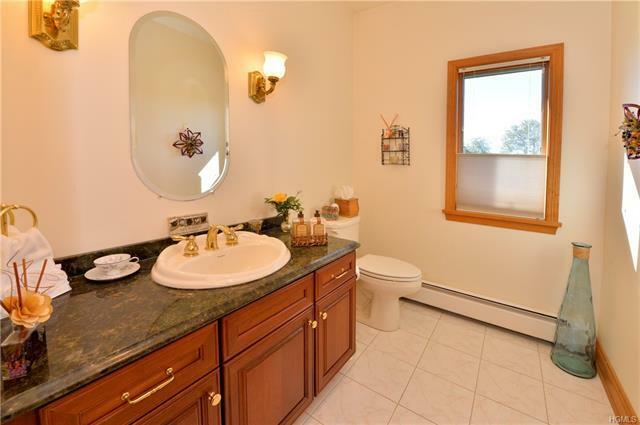 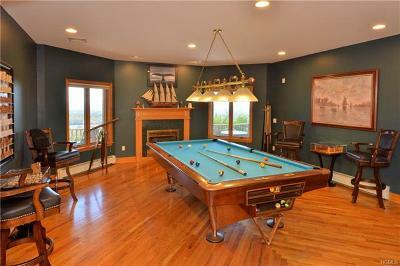 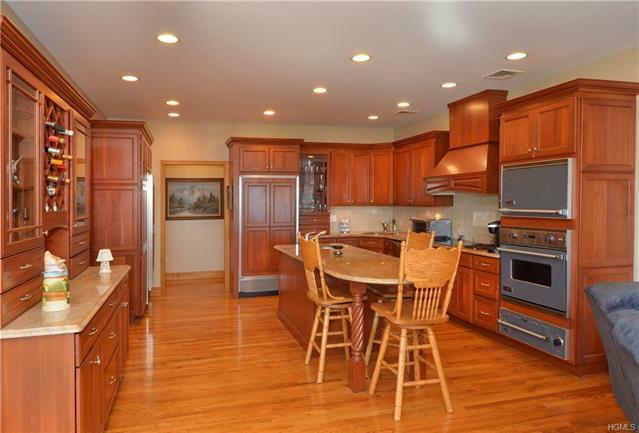 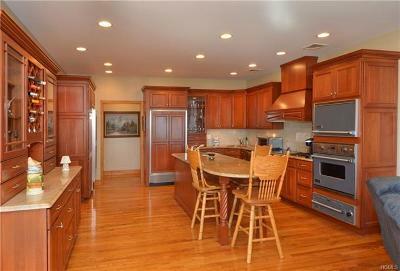 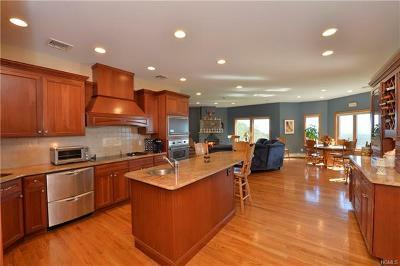 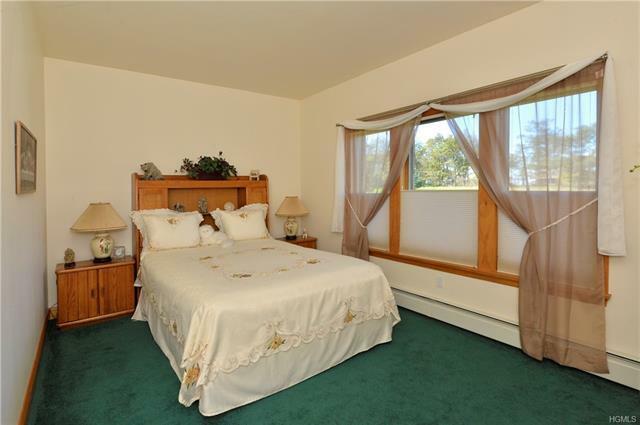 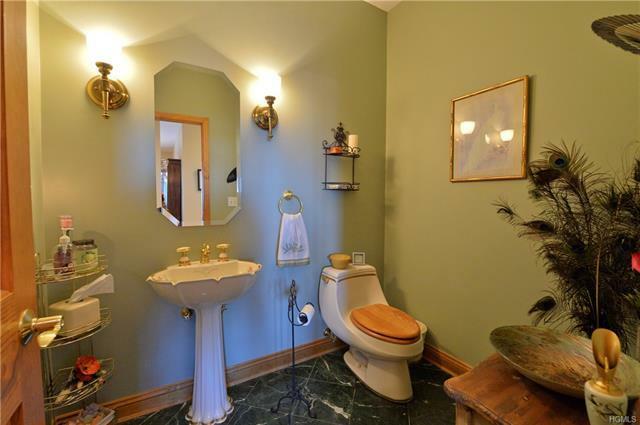 This home is meticulously maintained inside and out.